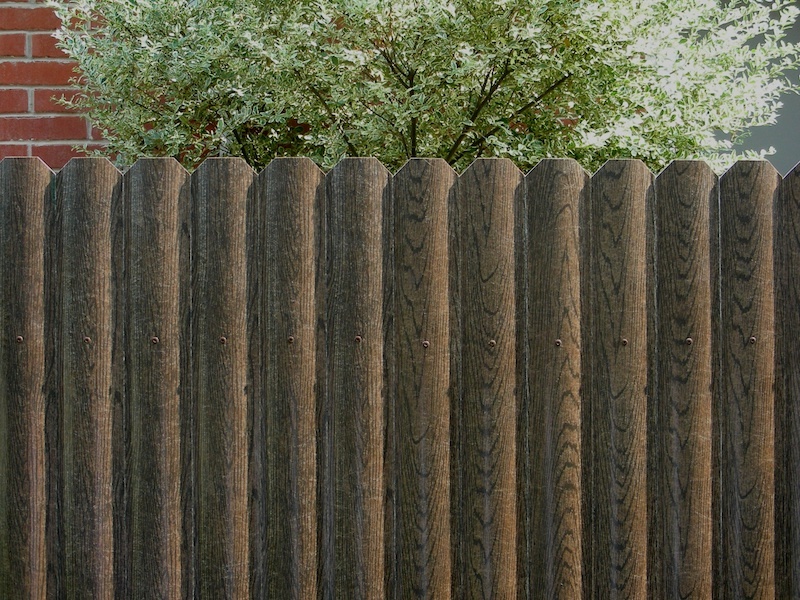 Fiberfence® is a fiberglass composite that has a lifetime warranty. 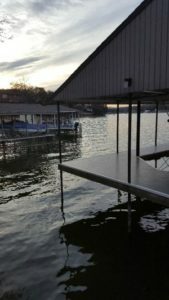 A customer may buy custom composite products that are unique to their projects such as guardrails, railing and others. Fiberfence is weatherproof, waterproof, termite and bug proof. The surface of Fiberfence will not crack or peel. The Color is manufactured throughout the product, so it does not require painting. 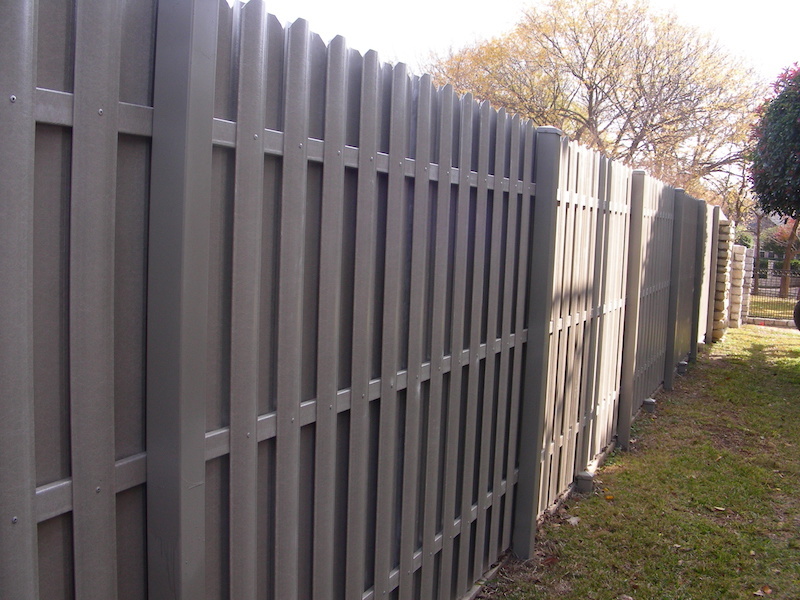 Fiberfence is manufactured in standard and custom colors. See the Architect Resource Center tab for cut sheets. 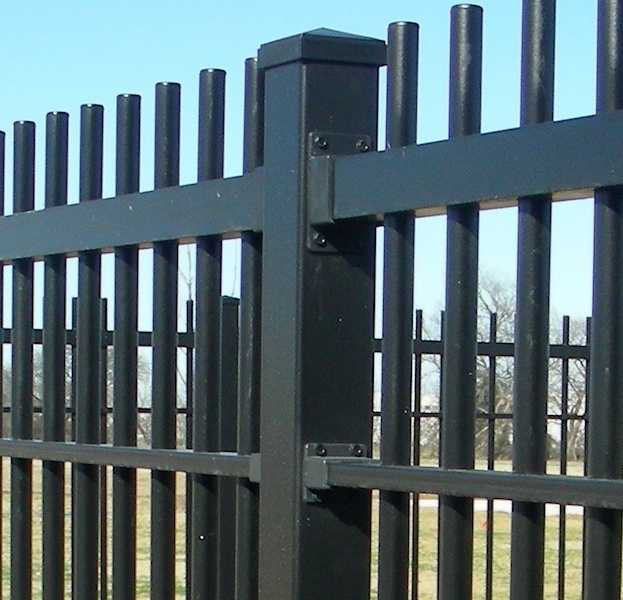 Configuration of Fiberfence fiberglass composite fencing systems is limited only to your imagination. Engineers are on hand to assist you in putting together your Fiberfence plan. Customers will be assisted with education on assembly and installation. 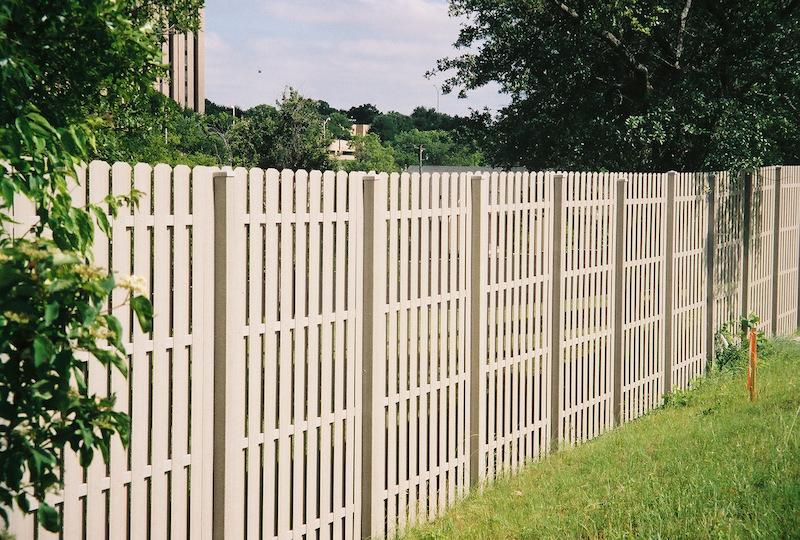 Fiberfence is being used by major cities and institutions nationwide. Some of our well known customers are the U.S. Navy, U.S Airforce, the US Army, The FAA, various cities across the US. Fiberfence cannot be outperformed. 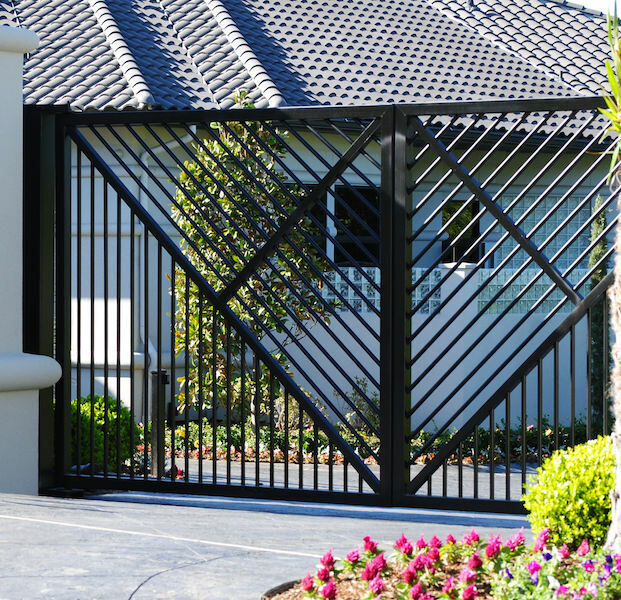 It is unequaled in the fence industry. We have available new technology to work with the fiberglass products and extend the UV protection beyond the normal range. One such technology is a patented powder coating. F&F produces many pultruded fiberglass products. Almost all of them are patented. F&F has a history of working with customers to develop new prototypes to accommodate their current needs. An example of these would be dolphin cages for a coastal research center. Temporary Fence for a large energy corporation. 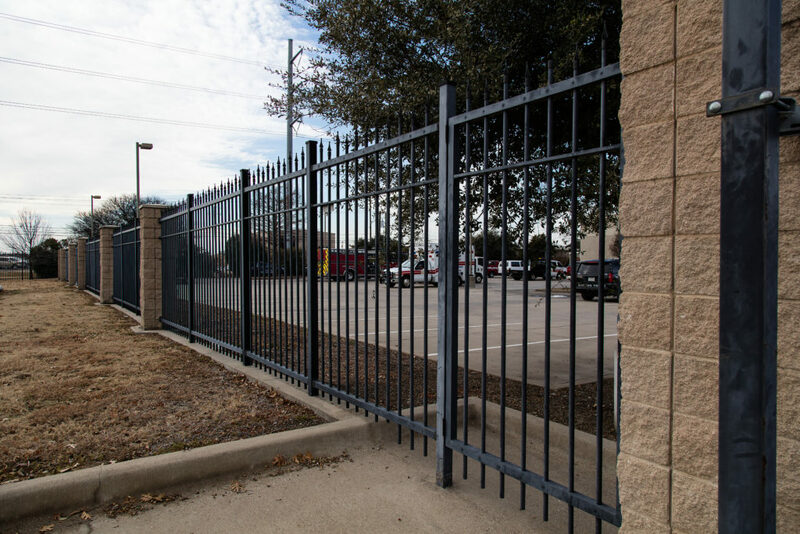 A revolutionary first temp fence to enter the market that is not chain link! 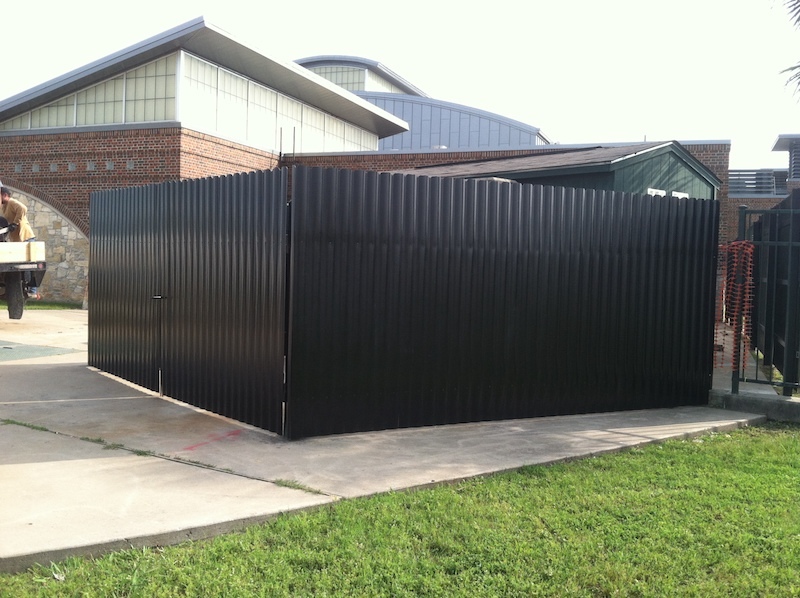 The new Temporary Fence has features of fiberglass that aid in handling and use. It is light weight, easy to fold and carry. The length and size of the panels are determined by the customer. This temporary fence that was designed for an energy company is very secure and is non-conductive. So if whether you are an energy company or well digger, high rise builder or school builder and everything in between, this temporary Fiberfence will benefit. No more rentals! You can own it and use it daily. No more tangling! No more injury from heavy lifting and straining. 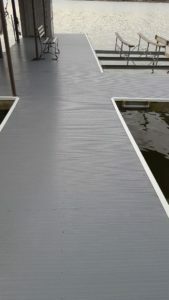 F&F is also a manufacturer of fiberglass decking products. You only need to walk on these decking boards one time to know you made an excellent choice for decking materials! Like Fiberfence, it features lifetime wearability! It is weatherproof, chemical proof and sustainable. 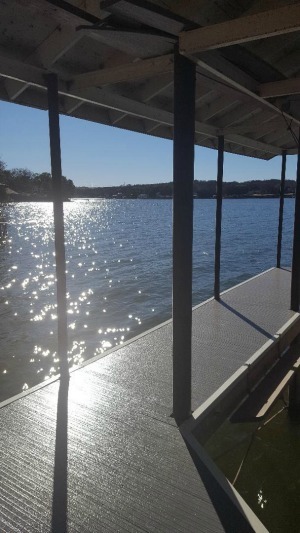 Decking comes in standard colors of gray or brown. Other custom colors and styles are available. FiberDeck fiberglass decking is skid resistant and UV protected. No more staining and conditioning wood. No more dirty clothing and shoes that walk on wood decking. Family and kids will love this quiet and cool decking material. F&F is a pultrusion fiberglass manufacturer. 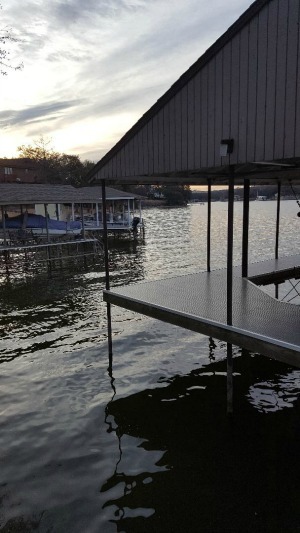 Unlike other types of fiberglass, our fiberglass products have the 75% glass content! Materials pass through a resin bath and are literally pulled up into a steel die that is heated over 400 degrees. The die is only 36″ long. The material is heated and passes through the die along a 100 foot track. Then emerges as a perfectly formed product, ready to cut and assemble. There are only two types of fiberglass manufacturing: 1. pultrusion which involves pulling glass through resin bath and then high heating inside of a steel die. Glass content of this type is 75%. The resin content is 25%. Conversely, the other type of fiberglass manufacturing is called “a cold process” which it is hand layed in layers, resin and glass strands or veil. This type has a content of 25% glass and 75% resin. The glass content is the main factor in forming the strength of the product. There are many other chemicals that are used in Fiberfence formula that are not in a cold process. Fiberfence is made from pultrusion. Fiberfence is non-corrosive and requires no gelcoat like the cold process requires (such as boats, skis, hot tubs, some vehicles). Fiberfence is 3 times the strength of steel and has a Barcol Hardness of over 50. In comparison, a plastic or PVC product has Barcol hardness of less than 1. We are unique to other fiberglass companies in that we design and build our own products as well as patent them. We hold over 38 patents in the U.S. This makes us number 11 of all patent holders as to the number of patents in the U.S. held by one person or company. We are constantly looking for ways to provide our customers with another solution to corrosion and decay. 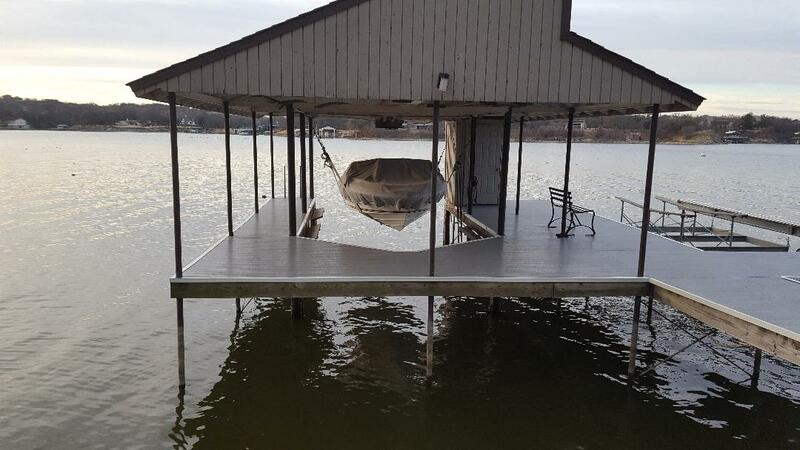 These pultruded fiberglass products are a safe place to invest your money. These products will provide decades of use, safety and enjoyment.